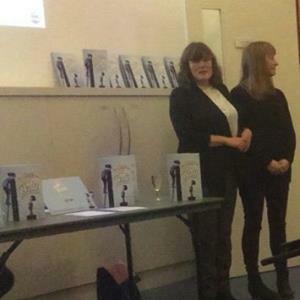 There was a good turnout of family, friends, and professionals for the book launch on Friday 3rd December at Family Futures of “The boy who built a wall around himself”, written by Ali Redford and illustrated by Kara Simpson. Ali is an adoptive parent who adopted two traumatised siblings. The book uses the wall to symbolise what the child needs to protect themselves in an abusive environment and how it gets in the way when they move to a loving home. It tells how someone “kind ” helps the little boy to break down the wall. It’s a lovely story that all children will understand and many parents will relate to.